Why go 4k? Because 4k gaming laptops pack four times more pixels than 1080p laptops. In the world of video games, that means sharper visuals, richer game worlds, and a more immersive gaming experience that pulls you in. But for you to enjoy 4k gaming, you need a laptop with enough processing power to handle all that graphics rendering, and you can’t cut any corners when it comes to the design and the other features either. 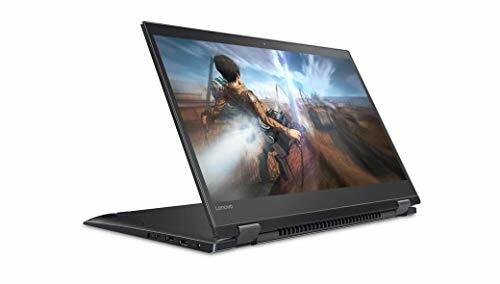 So, which is the best 4k gaming laptop of 2019? 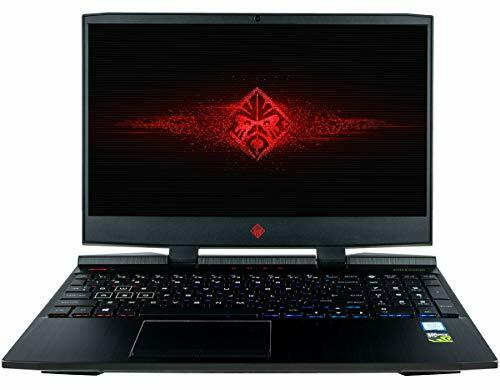 CUK OMEN 15t is Computer Upgrade King’s take on one of HP’s most powerful gaming laptops. This high-end gaming machine arrests attention with its rugged design and promises to handle all the games you throw at it. Not just that, but it looks, sounds, and feels like a gaming laptop should. Why settle for the regular HP Omen series when you could take 4k gaming to the next level with the CUK OMEN 15t? The rugged design tells you right away that this 4K gaming laptop means business. The flashy red logo and red accents make for a promising start, but what really matters is what’s under the hood. And that is, in the end, what this gaming laptop’s all about. CUK’s OMEN 15t delivers beastly performance with the six-core i7-8750H running at up to 4.1GHz and the NVIDIA GeForce GTX 1070 8GB GPU. Add to that the 16GB of RAM, and there’s no game out there that this gaming laptop can’t render superbly pixel by pixel. Using Nvidia’s G-Sync Technology, the CUK OMEN 15t keeps the refresh rate of the GPU and display in sync, delivering a sharp gaming experience. Another thing you’ll love about it is the full-size backlit keyboard that comes with 26-key rollover and anti-ghosting features. More than enhancing the design, it provides the key functionality needed in shooters and fast-paced multiplayer games where quick reflexes make all the difference. But can you enjoy gaming on this laptop on the go? You can, but better bring your AC adapter with you. The battery won’t disappoint you, but with settings maxed out, it drains fast. The Lenovo Flex 5 2-in-1 proves that you can bring together a gaming machine and a tablet in the same device without sacrificing power or decreasing the quality of the screen. This is a true 4k laptop table and one that, with its price and specs, rivals some of the pricier high-end gaming laptops. Bigger and faster than some of Lenovo’s entry-level 2-in-1-ers, the Lenovo Flex 5 promises an accessible gaming experience on the go. Its streamlined, slim design makes a great first impression, as does the vivid IPS 4K Ultra HD screen. 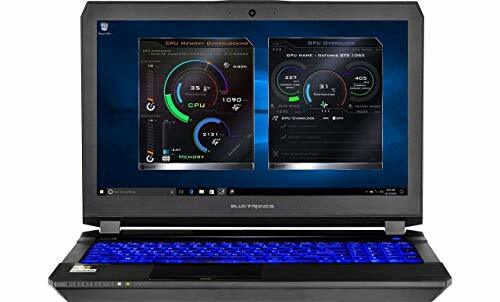 This 4k gaming laptop bundles the i7-8550U quad-core (up to 3.9GHz) with 16GB of DDR4 RAM and the NVIDIA GeForce MX130 graphics card. It’s a good mix that can handle 4k gaming quite well without any noticeable lag. And, of course, in stand or tent mode it can bring videos to life at 3840 x 2160 pixels. Worried about storage space? Don’t be. The 512GB SSD and 1TB SATA combo has you covered. The Lenovo Flex 5 wins extra points for its relatively low weight for a 15” laptop – just 4.4 lbs. – and quality Harman Audio speakers which make headphones and external speakers optional. It also includes a fingerprint reader and an active stylus, just two extra features that make this a versatile choice for gamers who want to do some work on their laptop too, in between some fragging. This powerful laptop is not actually marketed as a gaming laptop but that’s hardly an excuse not to learn more about it. Elegant and powerful, it can handle 4k games with as much ease as it handles digital painting or video rendering at high resolutions. The Asus VivoBook Pro 15 Touchscreen Laptop doesn’t look all that much like a gaming laptop. It features the same elegant and understated design Asus has been pushing in recent years in some of its higher-end models. But although it’s just 0.8 inches thin, it packs a heavy punch, enough to tame some of the most demanding games out there. The 7th Gen Intel Core i7-770HQ can turbo up to 3.8GHz, proving a more than apt companion for the NVIDIA GTX 1050 4GB GPU. This, together with the 16GB RAM, can handle complex game worlds and some of the more advanced multiplayer games out there. Add to that the 256GB SSD and 1TB HDD hybrid storage, and you get strong specs. Of course, you don’t get the advanced keyboard features of authentic gaming laptops, but you do get backlit keys. And you also get a dual-cooling system that minimizes noise. If you want to make the transition from full HD gaming to 4k gaming, all the laptops on this list can bring you a stunning, immersive gaming experience. But the CUK OMEN 15t VR Ready Gamer Notebook stands out thanks to its specs. It may not have the tablet functionality of the Lenovo Flex 5 2 in 1 or the quiet elegance of the Asus VivoBook Pro 15, but it’s faster and can tear its way through any game. It also has great keyboard functionality and that, together with its striking design, make it the best 4k gaming laptop on our list. Game on.